I was going for something sculptural when I made this so I headed down to the Legion of Honor for some inspiration. 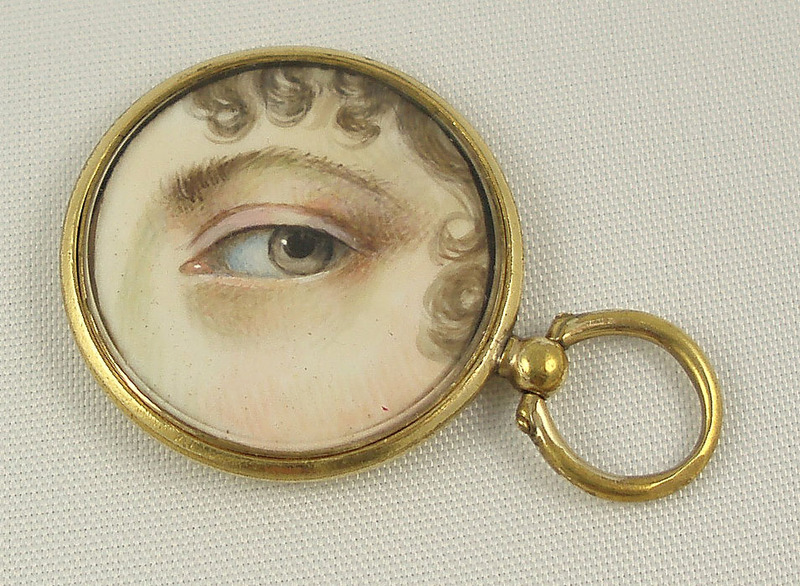 After posting the drawing of eyes from my sketch book, a client called and told us about the Lover's Eye. How did I miss these treasures all these years? 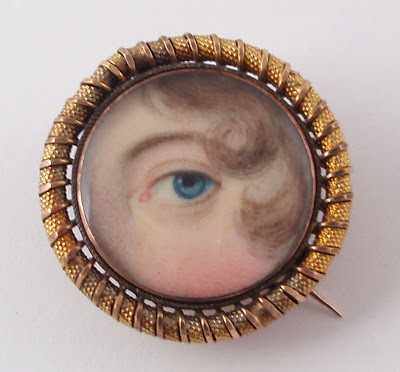 "While off fighting the Revolutionary War in America, George IV's lover gave him a locket with a miniature painting of her eye; her anonymity was preserved while eye contact was maintained." Genius. Fewer than 1,000 were ever produced of these hand painted Georgian miniatures. 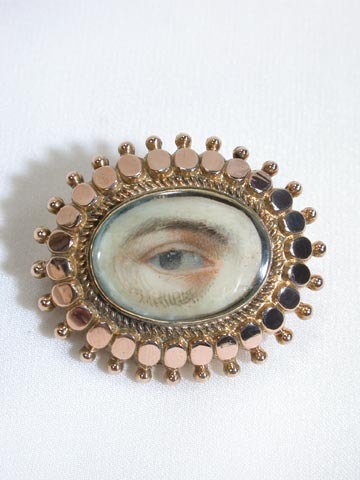 They were painted by miniaturists onto ivory and sometimes velum. If they were encircled by pearls they were remembrance pieces. They were made for the courts and affluent households of England, Russia, France and on rare occasion for America. 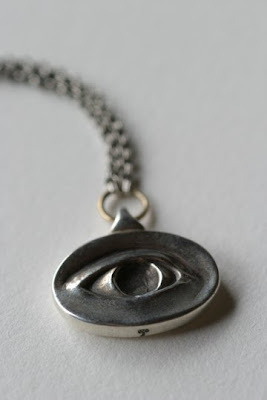 i have always loved these small tokens of affection and have a piece i made with my only child's eye peeking thru a keyhole.